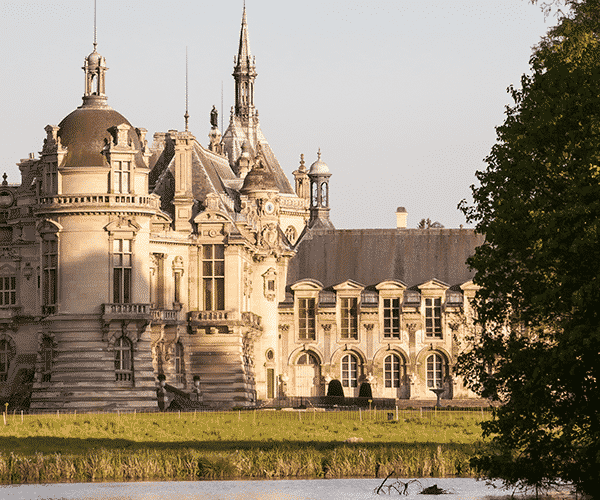 If you have already visited Versailles and you would like to know more about the French Monarchy, explore the Estate and Palace of Chantilly, located 1 hour from Paris, France. An hidden gem steeped in history, former property of princes of the most powerful Royal family, related to King Louis XIV, and foremostly his cousin, the Grand Condé. 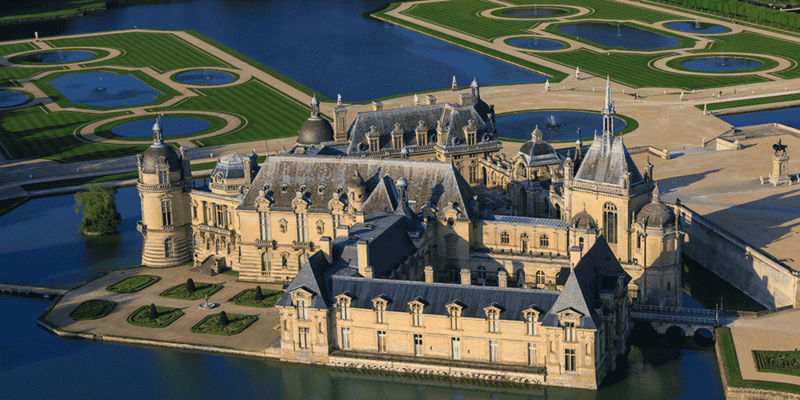 Chantilly is Located in the tranquil French countryside, surrounded by forests. 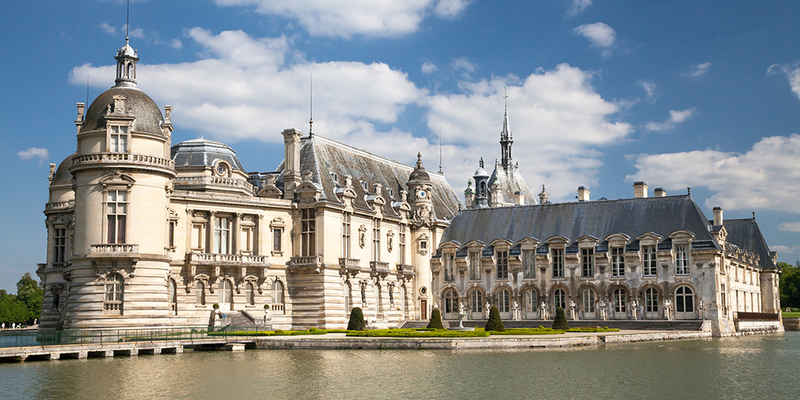 Enjoy a day out under the fresh air, discovering a new page of French history. The Grand Condé splendidly transformed the Palace and its grounds, making it the centre of the aristocratic society with its grandeur, extravagant balls and events. What you will find here today are incredible treasures, the second largest antique art collection outside the Louvre Museum put together by the Duke of Aumale, the son of King Louis Philippe, the last King of France. 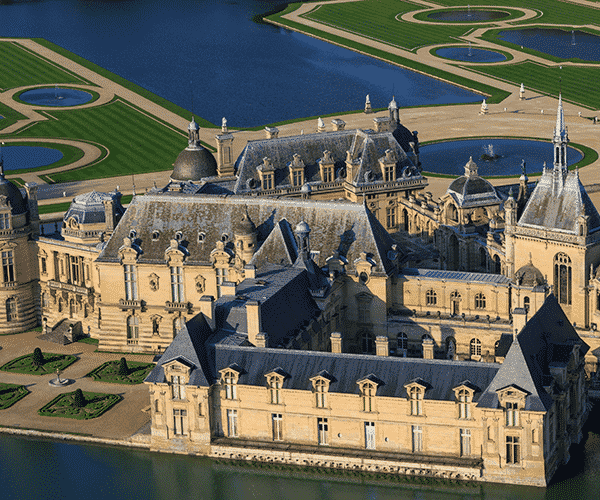 Chantilly also owns the largest stables in Europe, world-famous for its equestrian training and horse shows. Entry ticket to the Gardens and the Palace of Chantilly. 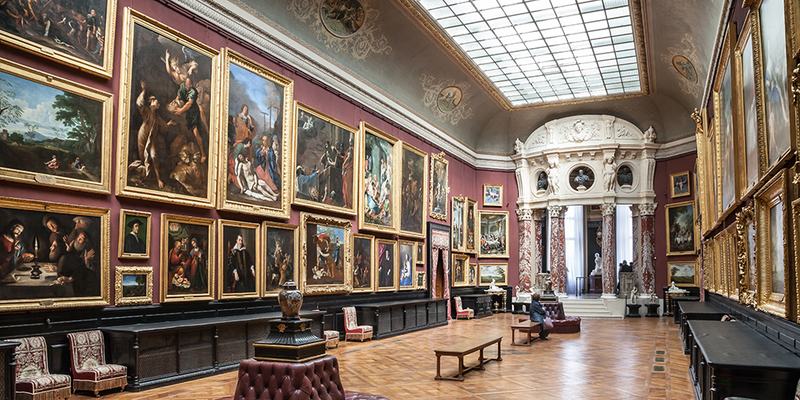 See the 2nd largest collection of antique paintings after the Louvre Museum. Find out about the fascinating history of famous princes of the most powerful Royal family in France. Stroll in one of the most beautiful gardens of Andre Le Notre (landscape designer of Versailles). Enjoy a relaxing day out in the French countryside. Admire the largest and the most beautiful Royal Stables in Europe. Chantilly is not only famous for its two most prized horse races, the Jockey Club and the Grand Prix de Diane founded in 1838 and 1842, which take place every year on June. 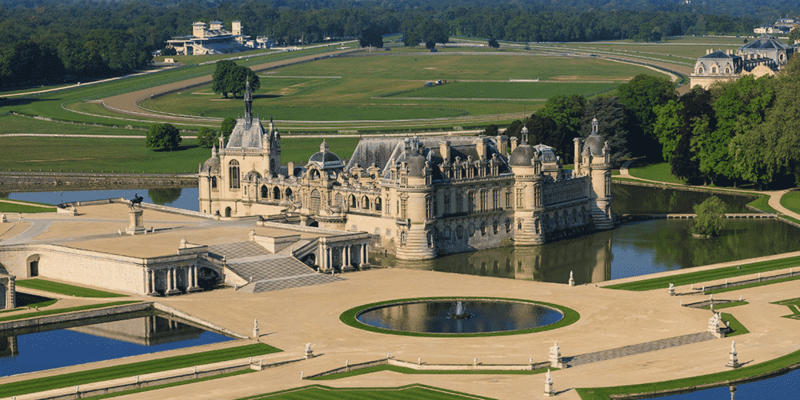 Chantilly Palace was the property of Louis II, the Grand Condé, cousin of the famous King Louis XIV, of one of the most powerful Royal families of France. 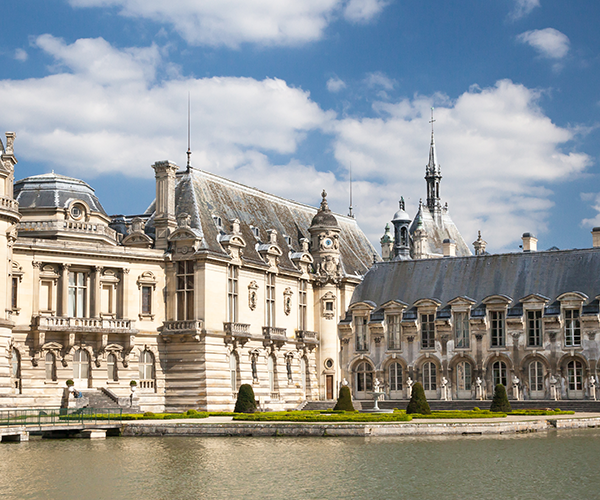 If you are interested in the French Monarchy and history, this tour will not leave you disappointed. Hear the stories how once a Renaissance fortification became an elegant Palace. Under the ownership of the Grand Condé, the chateau was the epicentre of majestic balls and celebrations, attracting even King Louis XIV to practice his dance steps! 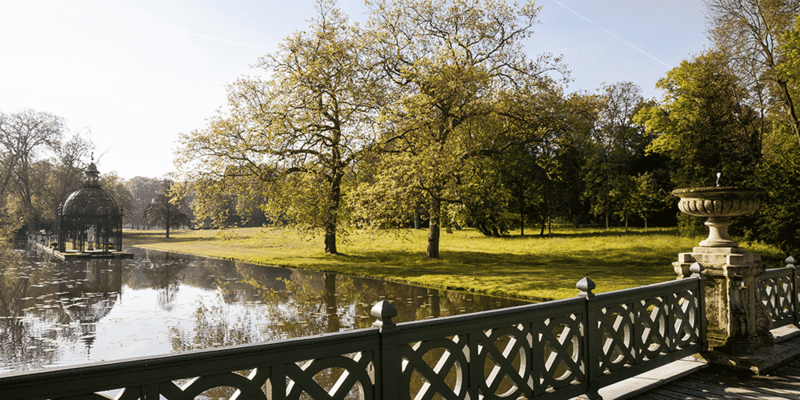 Go on exploring the French style gardens which were designed by the famous André Le Notre, who was also responsible for creating the gardens of Versailles. 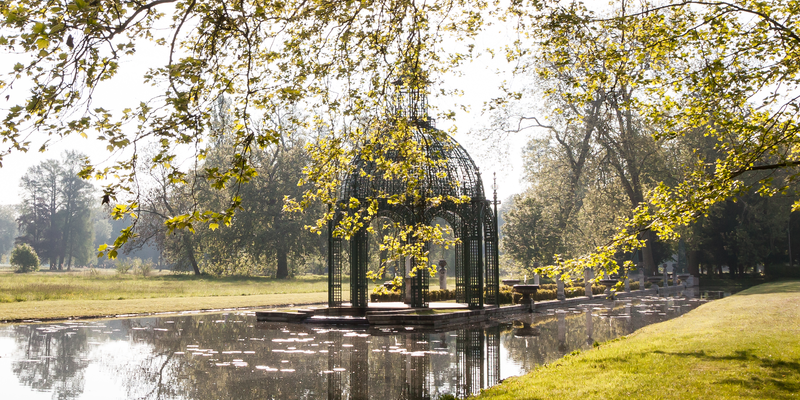 Walk along the uniformed, symmetric pathways to admire the vast flower beds surrounded by immense bodies of water reflecting the sky. 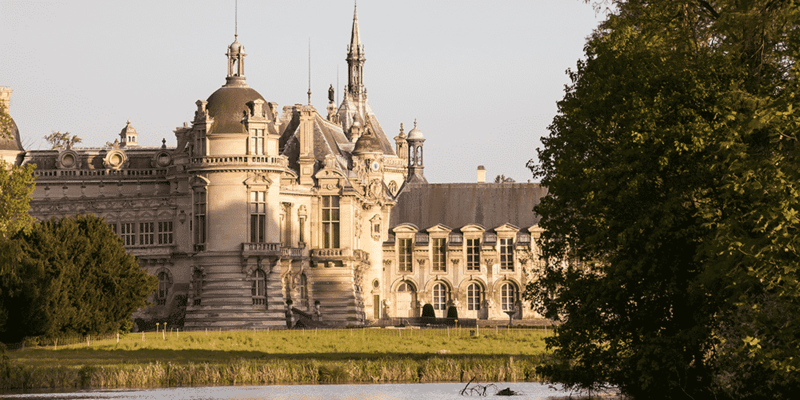 Just like the princes would do after hunting, take a retreat in the Hamlet of Chantilly surrounded by the lush Anglo-Chinese gardens. This unique part of the gardens contains 5 rustic cottages which were the inspiration for Marie-Antoinette to build her Hamlet in Versailles. What you will find inside the Palace today is the Condé Museum, showcasing the rich collection of art and books of Henri IV of Orléans, Duke of Aumale. Take the unique opportunity to travel back in time to visit a 19th century styled art gallery, the Condé Museum! The Duke of Aumale, had 2 wishes when he bequeathed his collection to the Institute of France, one, that the layout of his collection must remain unchanged. From masterpieces of the famous Italian artist, Raphael, collection of Renaissance portraits of the kings and queens of France to a pictures illustrating the chronology of history of art, everyone will find something to their taste. To experience something more distinctive, walk down with your guide to the Psyche Gallery and admire the 44 stained glass windows decorating this space. Most stained glass windows you came across probably depicted religious scenes, but not these ones! They tell the story of Psyche, the goddess of soul in Greek mythology. Let your guide bring her story alive while exploring the stunning windows. Apart from the arts, the Duke of Aumale was an avid book collector, with a total of 60.000 books coming to his possessions! You won’t see all of them today but you will certainly view his impressive Reading Room with 19.000 of books on display. Let your guide take you on a promenade in the Large Suites, and admire the 18th style gold and white decoration and motifs. 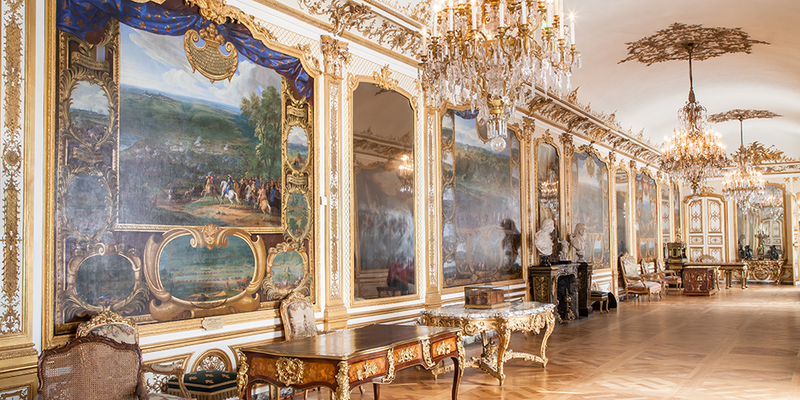 Much of the interior was looted during the Revolution but thanks to the dedication of the Henri IV of Orléans to his family’s heritage, he managed to gather periodical items giving back the glory to the rooms. 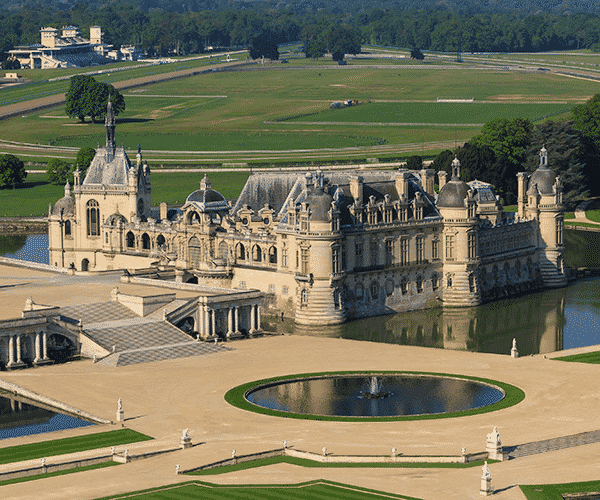 Your visit cannot be complete without seeing the masterpiece of 18th century architecture, the Great Stables of Chantilly, also the largest stables in Europe. Today it houses the Horse Museum, telling the special relationship between men and horses since the beginning of our times. The meeting point is at your hotel or apartment. Any time of the year! 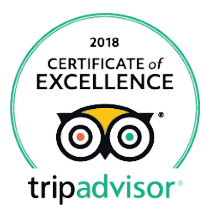 This guided tour is advised for traveler who already came to Paris several times and who already visited palaces like Versailles or Vaux Le Vicomte. Does my tour include lunch? Only our Full Day tours include a lunch break (meals are not included in the tour price). Can you store my luggage during the tour? Normally not. If you would like to have this service, please Contact Us in advance. This service accrues an extra charge. The ground floor level, the Large Suites and the Library are accessible by wheelchair. Please note: the grounds in the gardens are covered with protruding paving stones. The Palace is not privatised during this tour, but we offer you a private tour with your own personal tour guide. High Season: From 30 March to 27 October 2019 included. Open 7 days a week 10 am to 6 pm (gardens close at 8 pm). Public holidays: 1st November 2018: Open, 11 November 2018: Open, 25 December 2018: Closed, 1st January 2019: Closed. Annual closure from 7 January to 25 January 2019 included. The Museum is huge, we suggest you to wear some sneakers and comfortable clothes. Next to the reinforcement of the security to enter in the Museum, the control may take longer than usual. Our skip the line tickets enable us to avoid the long queue. However you may have to wait a bit for the checking , especially during the high season. 1. Taste the famous Chantilly cream! Close your relaxing day out with a bit of indulgence! The famous Chantilly cream (sweetened whipped cream) was invented in the 18th century, during the time of Louis-Joseph Bourbon-Condé at Chantilly. The sweet cream with fluffy but firm texture left his guests mesmerised, wishing for more! Indulge your taste buds with this well-known treat either at The Capitainerie, inside the chateau or in the Hameau restaurant in the inspiring model village. Chantilly lace became famous around the world due to its fine, delicate nature, made of silk. Highly fashionable from the 17th century and even worn at the court of King Louis XV and later by the famous French Queen, Marie Antoinette. Visit the Chantilly Lace Museum to learn about the history and the making of this beautiful fabric and for a real treat, see an artist demonstrating lace making by hand! Please feel free to ask us by email. 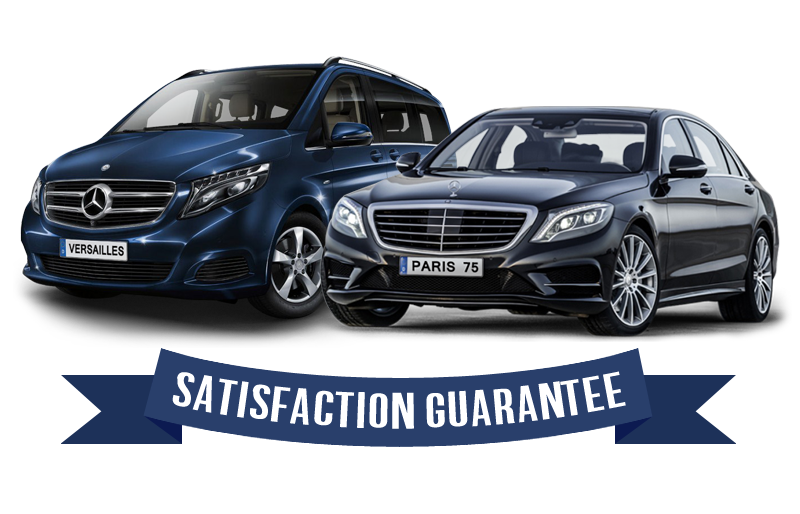 We’ll be delighted to build a customized visit for you.